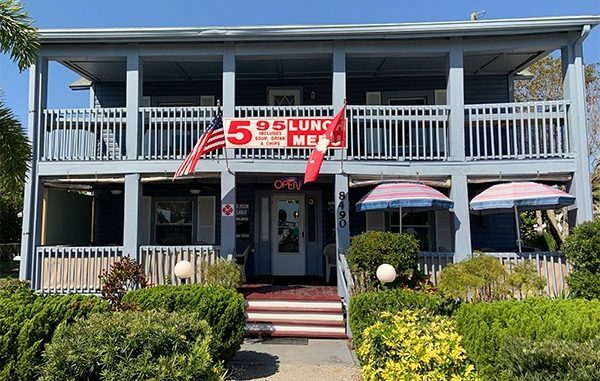 Jimmy "Three Fingers" offers a great lunch in Micco, Florida. 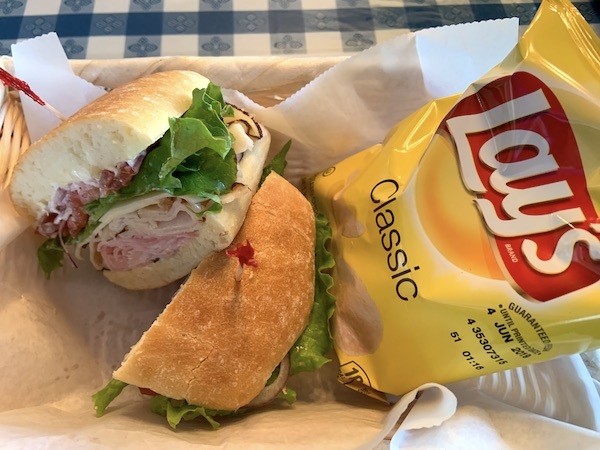 MICCO – There are only a few places in Sebastian where you can find an excellent lunch for under $8, and Jimmy Three Fingers in Micco is one of them. 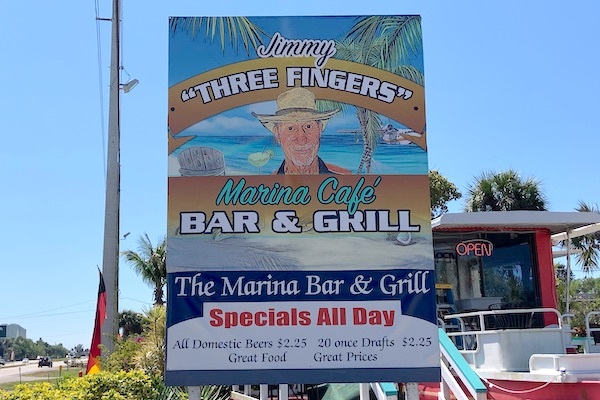 Jimmy “Three Fingers” is where the Marina Cafe use to be, just north of the Sebastian Inlet Marina on the east side of U.S. Highway 1. We ordered The Yacht Club and the Tuna Salad sandwich. They both came with a cup of soup, your choice of potato chips, potato salad, or macaroni and a beverage. 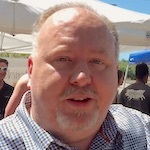 The soups that they had available were cannellini bean and a Chicago broccoli and cheddar. 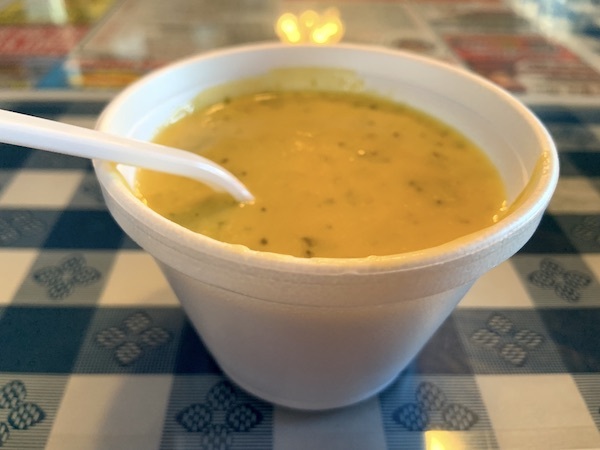 The Chicago broccoli and cheddar soup was very delicious. You had the option of using fresh popcorn to put on top of the soup. Patrons can have a second cup for only $2 more. Both sandwiches were served on a telera roll, which was freshly baked. The bread complimented every ingredient in the sandwich. The telera roll is originally from California. The Yacht Club sandwich plate with chips. The Yacht Club on telera bread. 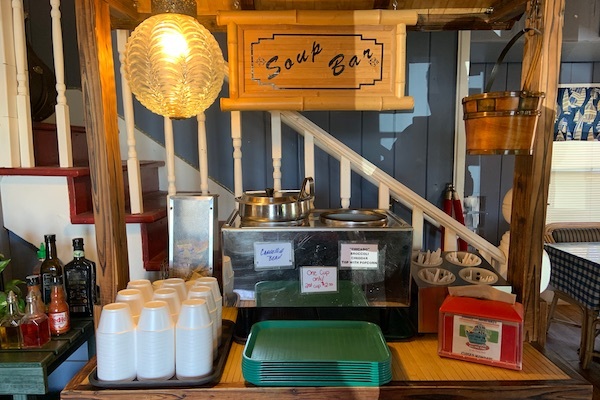 The Yacht Club sandwich was $8.95 and included soup, chips, and a beverage. 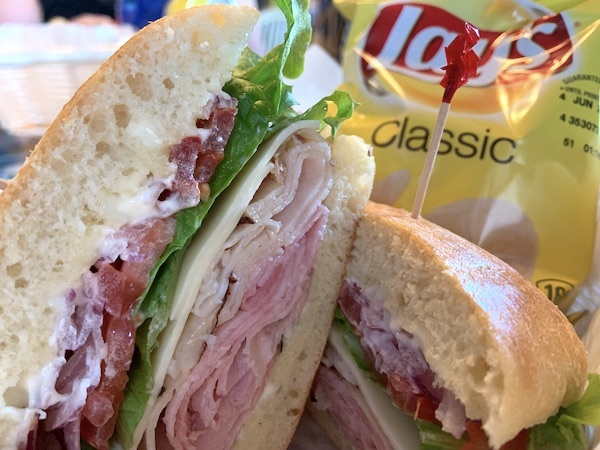 It was served with shaved smoked ham, oven-roasted turkey breast, bacon, swiss, lettuce, tomato, red onion, and mayonnaise. This was a nice sandwich and one I’ll order again. They gave you plenty of meat, lettuce, and red onion. Tuna sandwich on telera bread. 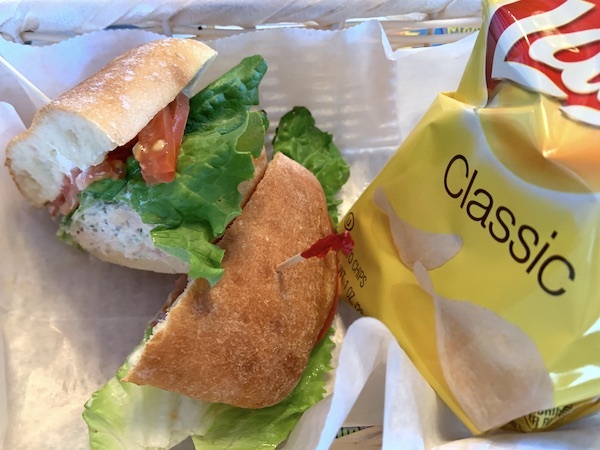 The Tuna Salad sandwich was only $7.95 and included soup, chips, and beverage. 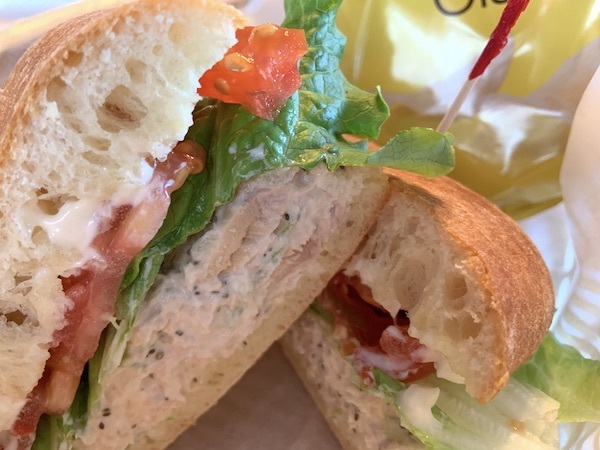 It is premium light tuna served with mayonnaise, lettuce, onion, and tomato. It was excellent; you could tell that is was made fresh the same day. I highly recommend it, and I will order it again. The service was fast and friendly. The waiter was very attentive to our drinks and anything we needed during our lunch. While we got our soup immediately, we got our sandwiches in under 10 minutes. 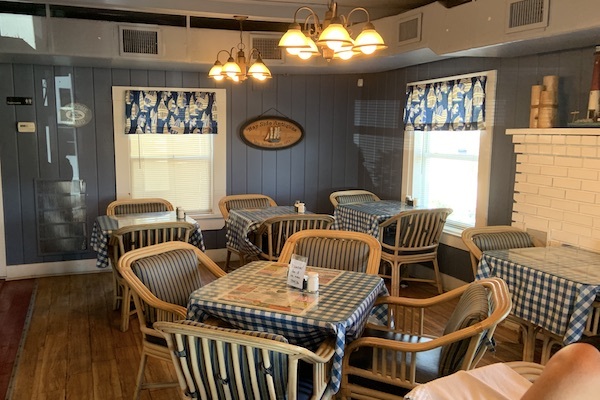 Jimmy “Three Fingers” has a homestyle vibe when you walk in, and the place reminds me of an old farmhouse with its wooden floors and decor. Jimmy Three Fingers on U.S. Highway 1 in Micco, Florida. They have tables inside, but you can also sit outside on a large deck. If you are looking for a tasty, reasonably priced, lunch spot, I recommend giving Jimmy “Three Fingers” a visit.